In this era of technology, e-waste is growing at a very fast rate. E-waste refers to electronic products that have become obsolete or unwanted. A large number of electronic products are registering their names on the list of e-waste goods every day. You now have less to worry about as our team of adept employees is ready to oversee the eradication of the waste. 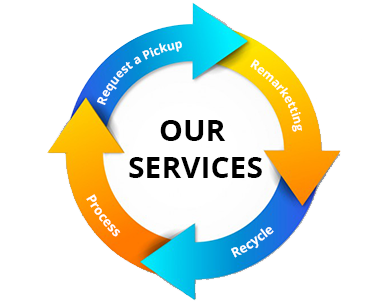 They are fully capable and knowledgeable about waste management and recycling so that you will not need to worry about the waste once you have assigned it to us. We have already established ourselves in the field of e-waste management. We request that you use electronic products judiciously for a better future. Your products might have become outdated after the introduction of advanced technology, might not function properly, or do not serve your purpose any longer. It’s time to get rid of the items that bring you grief. At the same time, we at Santa Clara E-Waste will treat the same product in a different way. We will try our best to save the product from ending up in a landfill. We will make every effort so that the product will be reused, reclaimed or recycled. 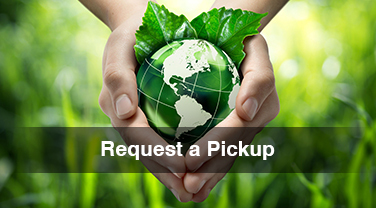 Drop us anemail or simply give us a call to request a pickup. We will schedule a time with you that’s convenient to pick up your unwanted items. Santa Clara E-Waste encourages reusing a product before discarding it for recycling purposes. We also separate products for future recycling. Remarketing is a way of preventing a product from reaching the landfill. We destroy all ofthe previous data before remarketing it to ensure your safety. We recycle your devices as per the EPA guidelines. We take care that your products are used for new products and will not end up in a landfill. We will schedule a time that is convenient for you and we will pick up your unwanted products.